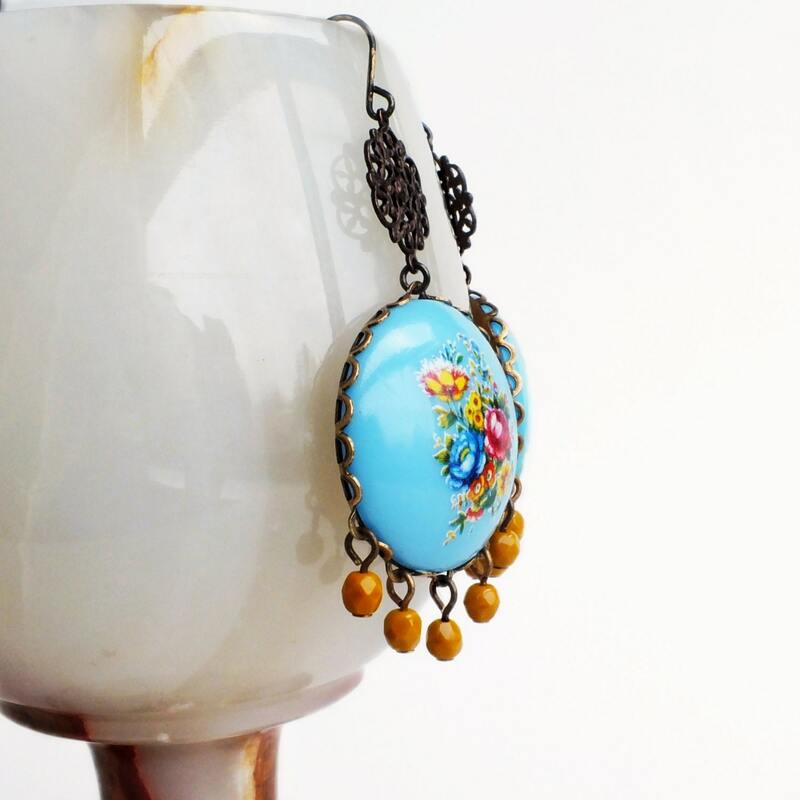 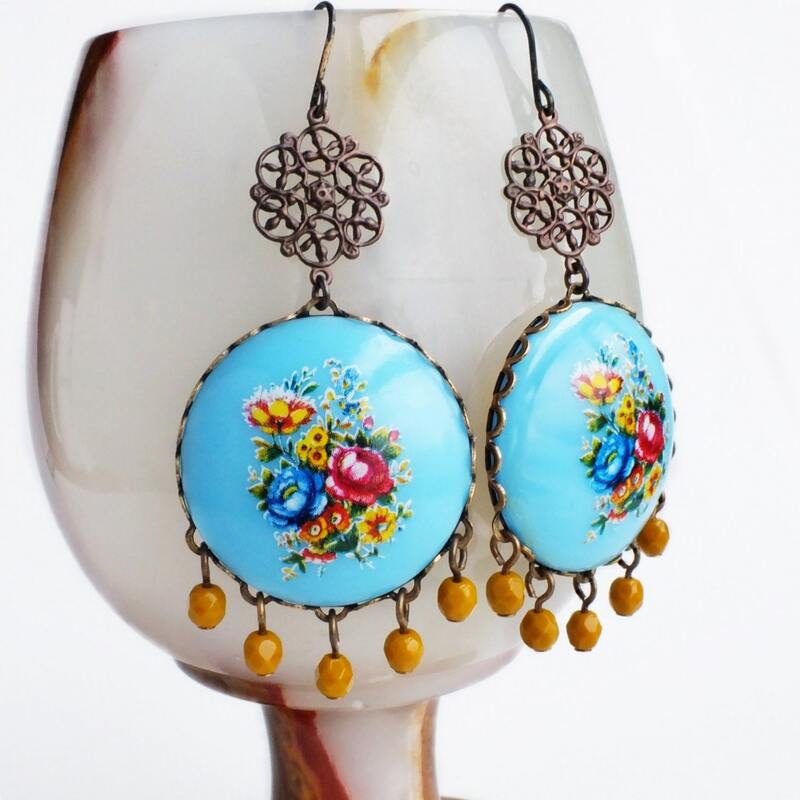 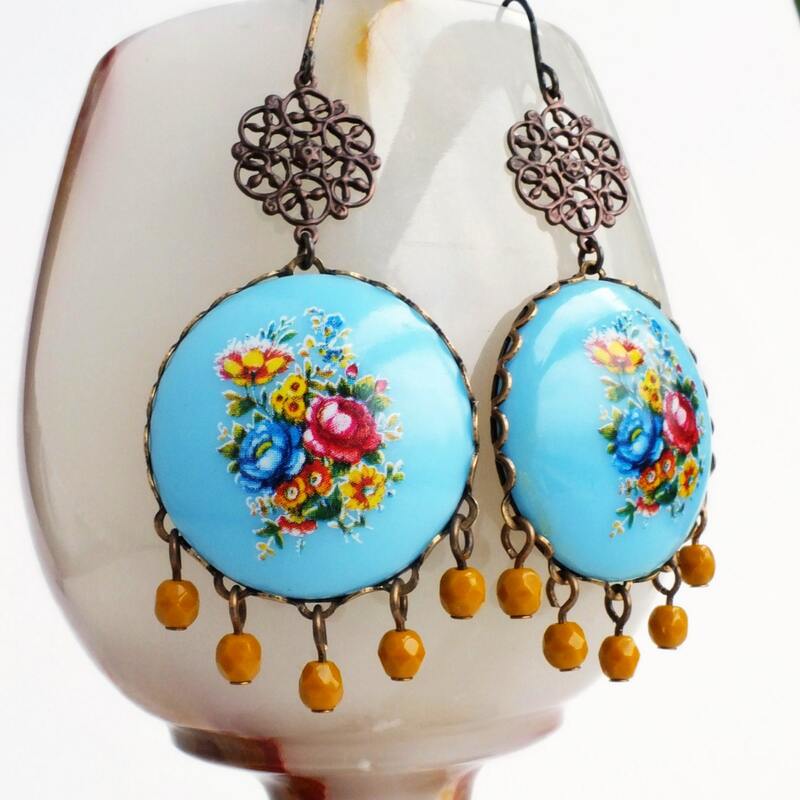 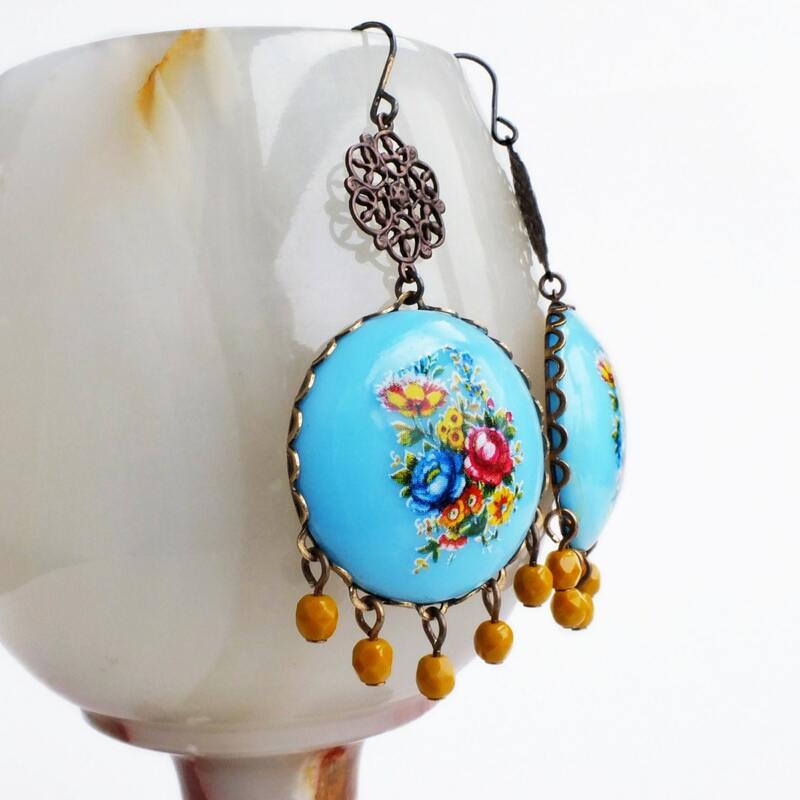 Handmade blue statement chandelier earrings with extra large vintage floral cameos. 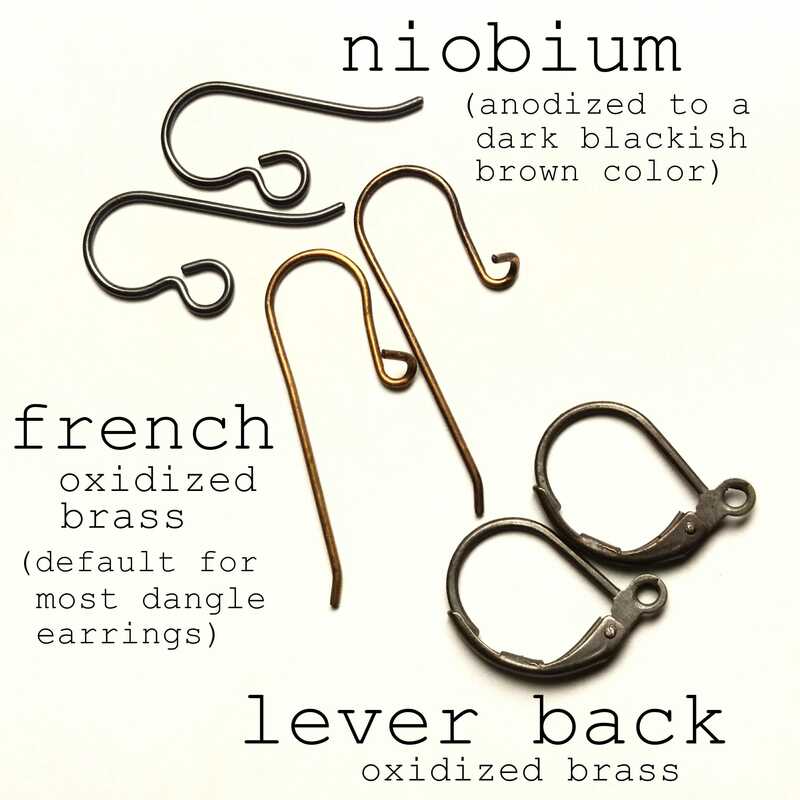 US made antique brass ear wires and settings. 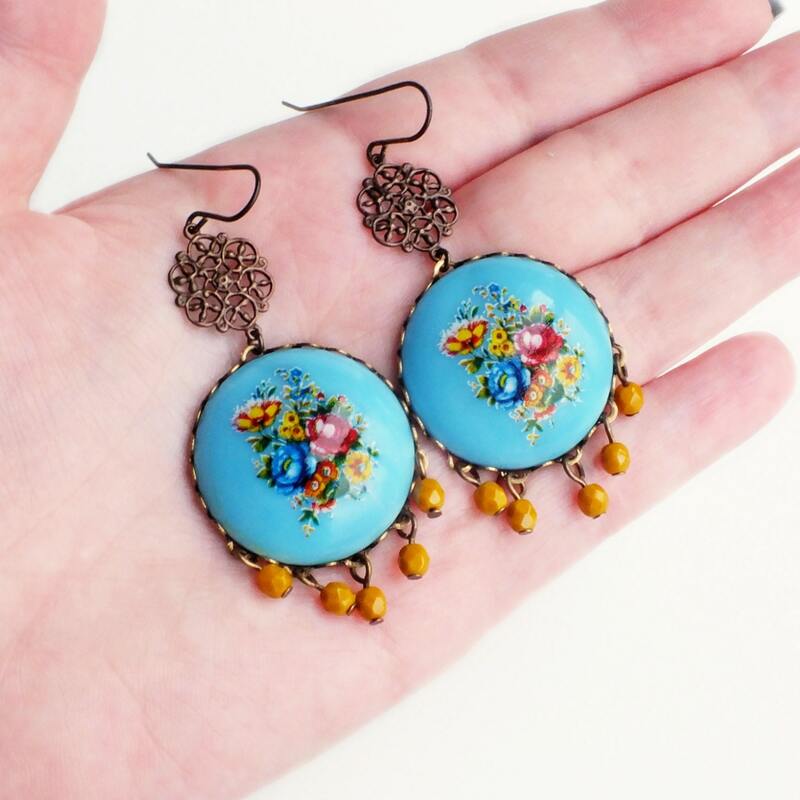 Made with large bright sky blue vintage floral cameos set in lacy antiqued brass settings.